See Update History for details. The music of the bells is the music of mathematics. Change ringing on handbells is a mathematical art form that uses abstract patterns to create pleasing sequences of rhythmical sounds using musical handbells. Diverse skills are blended in this team activity giving many benefits and much enjoyment to the handbell change ringer. This is a “HOW TO DO IT” website for both learners and teachers. 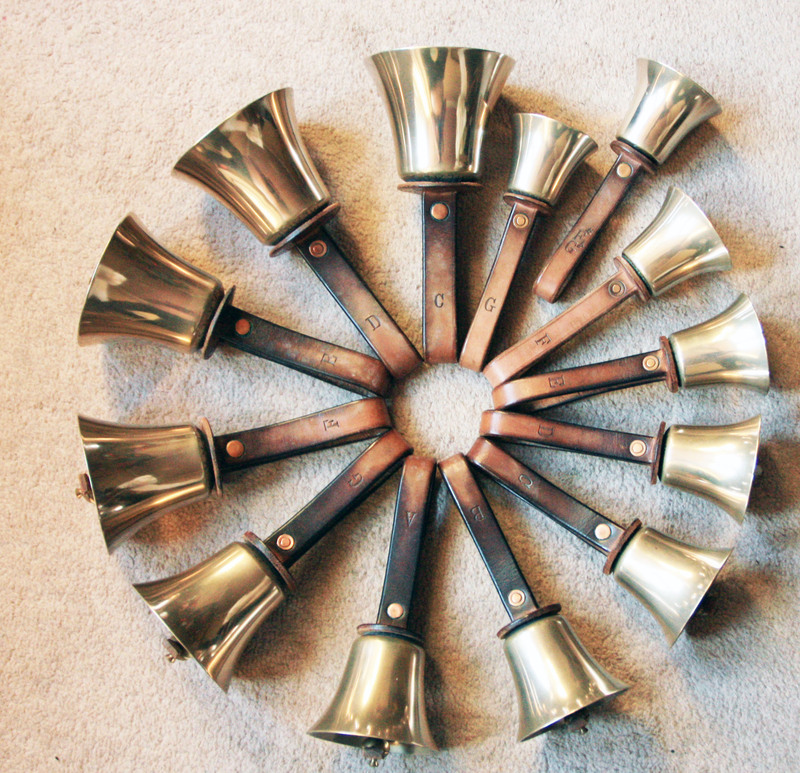 We wish you every success with your handbell ringing. © Copyright: Hull Handbell Change Ringers, 2016 - 2019, All Rights reserved. Version 7.10, March 22nd, 2019.